We know that it’s more than a nice building with a cross on top and that it’s bigger than a national institution with pastors, bishops and a seminary. We often say church is the people of God – but church is even more than this! When the apostle Paul talks about church, he often calls us the ‘body of Christ’. That’s because it’s Jesus who connects us to God the Father, and through his Spirit we are brought together as one community. We’re the people of God because we’re loved by Jesus. Church was never something humans thought of – it’s just what happens when Jesus brings us together. Being ‘church’ is being community – one body. It’s about connecting more deeply with one another as Jesus connects more deeply with us. Through his life, death, and resurrection, Jesus breaks down all the barriers we build to separate us from others (check out Ephesians 2:11–22). Just like Jesus, the body of Christ is sent to connect more deeply with the world, to share good news and hope, to live out our relationship with Jesus and invite others to know God. Jesus says to his church: ‘As the father sent me, I am sending you’ (John 20:21). 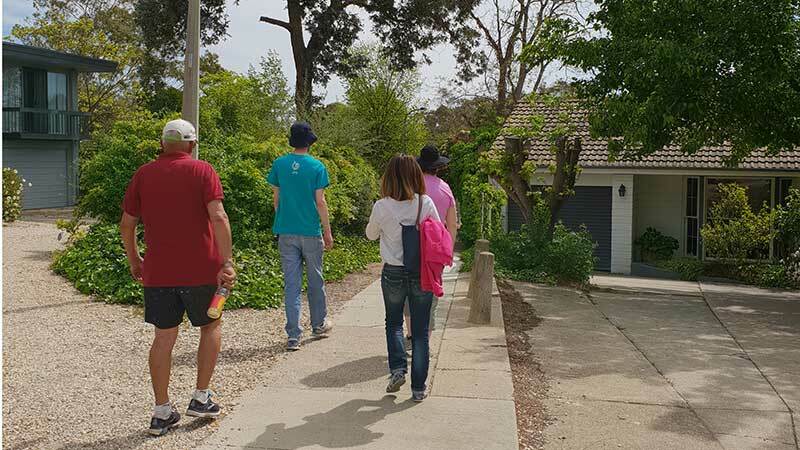 In 2019, Immanuel Lutheran Church in Canberra will be sending out a church-planting team, to connect with people in our city who don’t know God. We estimate that in our city of 410,000 people, about 100,000 are 20 to 40 year olds who don’t know Jesus. In Canberra, we know that it can be tough to build meaningful relationships. Many people just end up focusing on work. But we know that the Holy Spirit is working in their lives, calling them to God. We want to connect with them and echo Jesus’ invitation: ’Come to me all you who are weary and burdened, and I will give you rest’ (Matthew 11:28). Our prayer is that we can share our lives and God’s love with these people and that, through this, the Spirit will bring them into new life as part of the body of Christ. As we start on this journey, we know we can’t achieve this by ourselves. Would you join us? Is God calling to you move to Canberra to be part of this mission? Perhaps you’re already in Canberra or are moving here soon. Then we invite you to ask God whether he’s calling you to be part of this new community. Or maybe your call is to support us through prayer and you’d like to receive regular updates. Your congregation might become a partner church and support us through prayer and other practical means.